Finally the day arrived that I applied for the passport. This was pending from a long time literally, [6 years to be precise!]. The preparation for this grand event began about two weeks before. The first thing that we did was to look at the list of the required documents. Sorry boss, no ration cards, electricity or telephone bills or election IDs at the present address. What do I do? Applicant’s ration card, certificate from Employer of reputed companies on letter head, water /telephone /electricity bill/statement of running bank account/Income Tax Assessment Order /Election Commission ID card, Gas connection Bill, Spouse’s passport copy, parent’s passport copy in case of minors. This is from the Passport Department’s website here [italics mine]. Well I has these two, so I was happy. Well this I had the SSC mark sheet has date of birth. Also for the ECNR stamp, I was required to show that I was at least 10th pass. So I decided to give the highest one that I have got viz. M.Sc. mark sheet; one of the two achievements of my entire life, the other one being my selection at HBC. Please visit Passport office on the appointed date and time. You should arrive at RPO about 15 minutes before the appointed time and proceed to the respective counter. On line applicants do not need to obtain a token number for submitting their applications. You will not have to wait long in the queue. Well the last line brought a BIG smile to me. Such a care taken at a government office; I was impressed. Another good news was waiting for me, we could also submit the form at Chembur so that we don’t have to go all the way to Prabha Devi to just submit the forms. The address of the above office was taken from the Mumbai Police Helpline number 1090, where the attendant was surprisingly very helpful. No irony intended here. I mean it. The guy on the other side of the phone was really helpful. I wish everybody in the Government office [at least the PROs] were like him. I was the happiest being in the universe. So the fateful day arrived, we had done everything else except one minor detail of actually filling up the form, of whatever columns was left. We thought of doing this the night before, but Mishraji went to sleep when I was going to the office. So it was decided that we fill up the forms in the morning at 8:30 am, and go to the office in Chembur at about 10, as opposed to 11 suggested by Mishraji. Had our breakfast and went on the Wind Wolf. Well the address that Mishraji and I had was in exactly opposite directions; so total confusion about where to go. First we went to the office behind the fine arts society building. 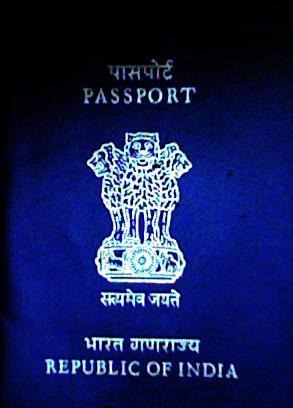 But this was a mistake the Passport accepting office was at the other end in Chembur colony. So went there. There were very few people in line there, but why should we worry we had an appointment at 11:30 and we were early for it, for it was just 10:25 ! When we went inquiring we were directed to a lady who was checking the forms. Yess! We were finally there, my six year old dream of getting a passport or at least the first step towards it seemed to be coming true. I told the lady that we had an appointment even though she ws checking some forms. But, then, किंतू, परंतू, लेकिन …..
अाम्ही ईथे रोज फक्त ३० फॉर्म घेतो. ३० टोकन दिलेले अाहे, तर तुम्ही ऊद्या या, अाज तुमचा फॉर्म घेता येणार नाही. But how can this be? I tried to argue that we had an appointment, and were not supposed to stand in any line or take any tokens! But she would not budge and told us that the website appointment did not have any relevance. WTF! I mean, I could not believe it. How can a government website be so misleading. Even then I did not loose my cool, I kept on insisting on the word ‘appointment’, so be it she must have thought. Then she told us that if you want to avail the appointment you will have to go to Prabha Devi head office. When I asked her about how to go there, she was staring towards me in disbelief. Huh, this guy wants to go there? Anyway without receiving much help from her I went out and met some constables who directed me towards the Prabha Devi Passport head office, which was after Siddhi Vinayak. Well if this is how it is supposed to be, then let it be. Today I had to submit this form. We still had about 50 minutes to reach there, I estimated that we could reach there in about 35-40 minutes, which was correct. When in the old office at 11:15 so we had a sigh of relief. But this was also short lived. We were told that passport submission happened in Bengal Chemical Bhavan, which was nearby. How much nearby he did not specify. Anyway we found it was really nearby. Hmm, spirits were high again, we can finally make up for the appointment at 11:30. Well here I felt more than happy when I saw a long line of people with passport forms in their hand. We laughed at them. Idiots. In this age of internet how could be there fools who were applying directly, waiting for tokens, uggghhh, I was seeing dumb people. With smart asses like us, who were net and tech savvy, we can really be ahead of the rest of the tech haves-not! Ha ha ha ha…. अॉनलईन अपॉईंटमेंट का कोई मतलब नहीं. ये लाईन में लगे हुऐ सभी लोगों का अपॉईंटमेंट है. लाईन में लग जाईए, अापका अपॉईंटमेंट भी हो जाएगा. You will not have to wait long in the queue. There was a total chaos in there. We were supposed to go to the 8 number counter. The queues for different counters did start differently but as they grew long, in the end all merged into a mass of people, who barely knew which line was where. One by one the people were leaving and we were progressing in the queue. Some of us did panic, as there were boards around saying that acceptance of forms and fees will be only till 12:30. But then someone told us that it is till 5:00 pm. Now all this standing in queue in the sun was showing up. I had not had water in the morning and was feeling really thirsty. The only cooler in the room was not working. But there was another escape root. There was a CCD counter. We ate some sandwiches and shakes which made us feel better. Meanwhile Mishraji had ventured outside and got us a water bottle which was not available at the CCD counter. [Note: Always carry a water bottle whenever you are outside in Mumbai, the thirst might just kill you!]. Till the lunch time we got really close to the chairs. Chairs the all important chairs. Never in my entire life I have craved for one, the way I was craving for it then. We were just one number away from the chairs when the Lunch Time was commenced. Not good will have to stand at least half hour more, without seating. Taking a clue from another person who was sitting merrily on the floor I decided to do the same. What a relief it was! At last the lunch time got over and our man was back at the place where we all wanted him to be. Well he had become really charged when he had returned. He quickly send out a lot many of them and we finally did have a space to sit! Some people from the pre-lunch session returned, whom our guy had send running for various things. One of the guys in blue shirt was really made to run and sweat. He was with his wife and mother I guess. But in the end much later he had his work done. Well but all this ate upon our waiting time in the queue. So when we were just a few people away the entire thing came to a standstill at least for us. I was loosing all the energy to fight or otherwise. The bottle of water was a precious resort, which we both were banking upon. Just then Mishraji realized that he had not attached ‘two self attested copies of all the documents’ he had only one! In a hurry he went outside, and got the copies. Phew! That was a close one. Well I noticed another thing, I had not brought the original bank passbook only the copies. Bad. So my short list of documentary evidences was further shortened. I hope that this does not create a problem, so I decide not to attach it. Finally we were there, at the counter; where they take the forms to give the passport. काय अॅडरेस प्रुफ लावले अाहे? When we insisted we were sent to see a साहेब at the 19 number counter. Mishraji followed the same as we both had evidences. We went to the officer concerned, who was in argument with someone over a passport which was lost. तुम्ही स्टुडंट अाहे, अाणि गव्हरमेंट सरव्हंट पण? मग त्यांना, please accept, असे लिहायला सांगा. GS + Student and Annx B on our forms with a green ink. तुम्ही काय काम करता? PhD चा विषय काय? Stipend भेटतो का? किती भेटतो? ितथे काय entrance असते का? पारपत्र कशाला हवं? Then after much deliberation he finally nodded. And asked us to get the copies of the ID, PAN card and we were done. I hurried to Hall number 2, where there was a Xerox facility on a Canon copier. Anyway after the copying, I came back and Mishraji was no where to be found. He apparently went all the way out to get copies not knowing that there was a copier in hall number 2. Poor guy. When I went back to the counter, the guy at the counter told me to come after everybody else’s thing got over. As ours was a ‘complicated case’. It was about 4:30 So we had to wait for 10 more minutes, when finally Mishraji appeared all sweating. And we finally got to submit the documents. We had to make two sets of all the documents ready, which we did. Then he asks for a proof of place of birth. Well this was not mentioned anywhere. Any way he also gave a solution for that, that we write a note which claimed that we were indeed born in the places we said we were born. And that was it. Good! Finally after last scrutiny he affixed stamp on it and I had to sign it. And I proceeded to give the fees 1000 INR. But Mishraji had a problem, he had not attached two copies of the Annexure I or the affidavit. Well I also had not…. Then came back to the person and told him, that I also do not have two copies of the affidavit. He was surely pissed off on me and angry too, but it was all my fault. Okay he had to remove staples and give me the affidavit back. We almost ran back to hall number 2 and got the affidavits copied and ran back to hall number 1. Well finally we submitted the form and stood in the line to give the fees. Well at the fee counter if you were paying by 500 or 1000 denomination notes you had to write their numbers. Well we did that and the lady at the counter asked me what was my subject of MSc, when I replied physics she commented physics is hard. Well I never knew doing MSc in physics would come useful in this way. So when I paid the cash I finally thought it was over, but destiny had other plans…. The lady at the cash counter told me that I had not filled the form completely!! Both me and the gentleman at the counter were taken aback. What I had not filled was that the witnesses for my testimony at the home address, in one of the copies of the form. The guy almost invited me to fill the form in a satirical way. When I did fill it, it was finally over this time. I hope that there won’t be any further adventures left for me. P.S. My passport has finally arrived on Friday 15th May 2008 in HBCSE. 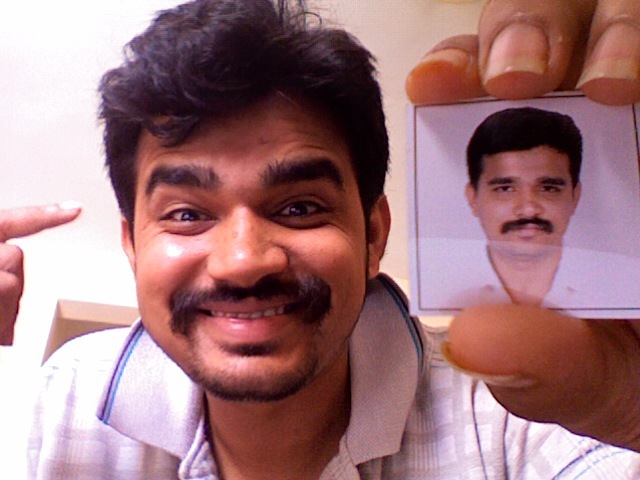 Unfortunately me being in Pune will have to collect the passport on Monday. Now for the facts the passport did arrive in a record 36 days, 9 days before the scheduled date of 45 days. Thanks to all the officials who were involved. The Indian bureaucracy has large inertia, so that it takes a large time to get it going, but when it does it does get going. This entry was posted in babudom, boredom, bureaucracy, frustration, government offices, passport, red tapism. Bookmark the permalink.